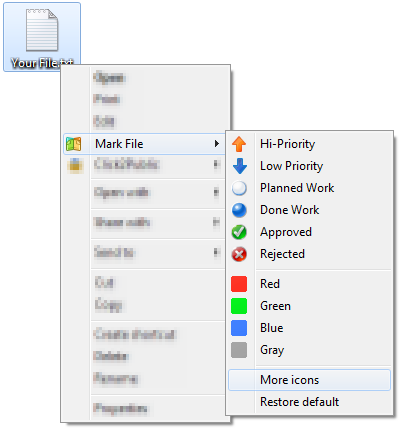 File Marker is a handy tool that allows users to color-code files in Windows like in Mac and considerably simplify file management with the help of additional icons to display status, priority, completeness and type of data in a file. File Marker is a powerful, yet intuitive and easy-to-use tool that enables users to arbitrarily change separate file icon images and mark files with additional sub-icons to reflect their completeness, status, priority or type. Find files faster, separate your files from your co-workers\' files, show document progress right on the file icon, set clearly visible priorities - it\'s all possible with File Marker with just 2 mouse clicks! Download Free EML File Viewer Software to open and read Thunderbird, Windows Live Mail email messages with attachments. Easily analyze any email messages in multiple view option like Normal, HEX, Properties, Header, RTF, etc.